Welcome to The Road to Revolution Campaign Arc; a series of adventures designed for use with the 3.5 version of the world’s most popular role-playing game. 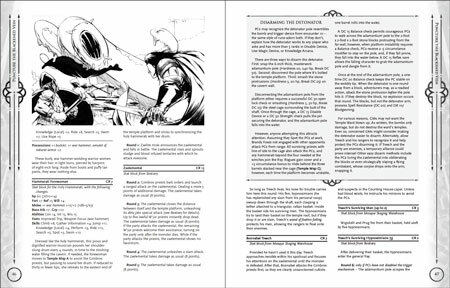 Set in the Great City, this epic campaign takes characters from their humble beginnings, all the way to powerful adventurers upon whose actions the City will come to depend. The Campaign Arc contains six adventures in all, each written by the original authors of the Great City Campaign Setting. 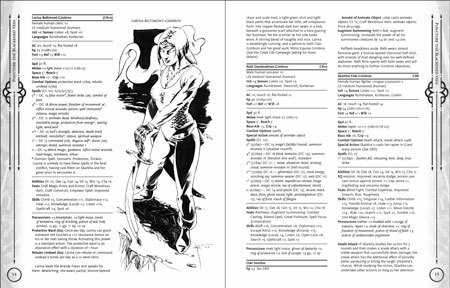 Arc adventures can be played individually or linked with others in the series to create a complete campaign. Puncture the Blackened Vein is the fourth adventure of the series, written by Lou Agresta and Rone Barton. But sayeth the Zaelites, bind them she will! – Mad Zaelite in the Square of the Eleven Prayers. More than the Temple Ward is at stake when a clan of Kortezian zealots and their generations-old scheme to fulfill a divine prophecy threatens to unleash an ancient evil. This massive 70 pages adventure will take you through the Temple Ward of the Great City. You can play this adventure alone or as part of the Road to Revolution campaign arc. Puncture the Blackened Vein is a high-level urban adventure appropriate for four characters of 8th – 10th level.. The module features the beautiful artwork by Eric Lofgren and Hugh Vogt.